Before I moved to the West Coast more than 30 years ago, I knew only one name on the San Francisco gallery scene: John Berggruen. Reviews of Berggruen’s exhibitions of artists with even better-known names — Frank Stella, Manuel Neri, Roy Lichtenstein — appeared sporadically in the New York art magazines to which I then contributed, alongside his occasional staid advertisements. 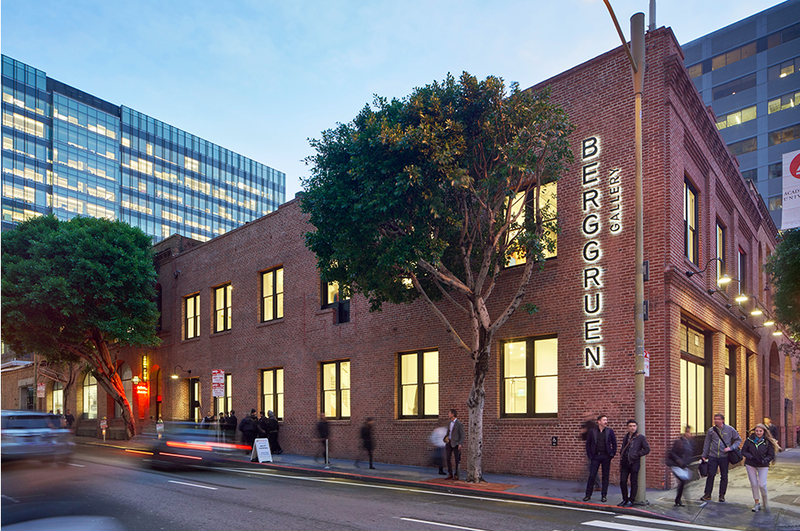 When I finally got to know the John Berggruen Gallery as a regular visitor (I was the longstanding art critic for the San Francisco Chronicle), it proved to fit the mold of the sleek Manhattan venues that had tested my nerves and judgment as a novice critic. Much later, I learned of the greater fame of Heinz Berggruen, John’s late father, whom he began to know only as a young adult, his parents having divorced when he was a child. John was born and raised in San Francisco, while his father returned to Europe. Heinz Berggruen knew Pablo Picasso, Henri Matisse and other modernist luminaries in early postwar Paris, and he represented their work. The elder Berggruen later became famous for gifts, loans and sales of canonical 20th-century artworks to the German state. He tried at first to discourage John from entering the art business, deeming it unwisely risky, but he finally gave the younger man his start in 1970 by consigning him lithographs for sale at a meager commission. This toehold gradually grew into a high-profile and highly successful contemporary art gallery. 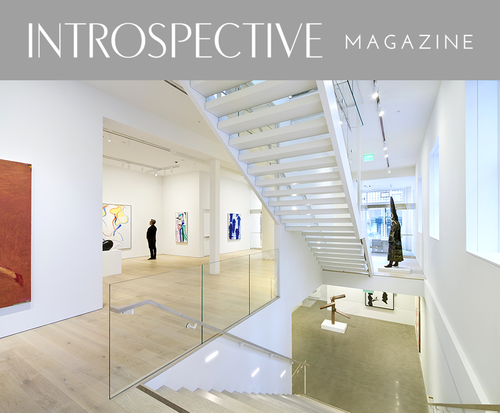 The new Berggruen gallery’s 10,000-square-foot interior, reconfigured and refined by the local firm Jennifer Weiss Architecture, incorporates two floors of exhibition rooms, plus storage and a project and event space. John Berggruen and his wife and longtime business partner, Gretchen, also stand out among their home city’s collectors for the discrimination and insider access that their private holdings represent. A visit to their home — an art-filled little corner of San Francisco heaven — about 20 years ago left as strong an impression on me as any domestic space I’ve seen here has. My recent second visit found many artworks added and a few repositioned. It once again made me wish that I never had to leave. The art-viewing experience begins even before you set foot in the Berggruens’ home: Outdoor sculptures by Mark di Suvero, Barry Flanagan and Nathan Oliveira set their house apart from its Russian Hill neighbors more discreetly and unmistakably than a nameplate ever could. But their 1854 shingle-style house shows its true distinction on the inside, thanks to a subdued, gloriously fenestrated rebuild by architect Robert A. M. Stern. The Berggruens both attended San Francisco State University in the 1960s, but they never met while there. After college, she worked writing grants and organizing events, occasionally controversial ones, for the Oakland Museum of California until its then-director, George Neubert, suggested that a top-drawer gallery would be the best place for her to learn all the aspects of exhibition management that interested her. John, who had by then already gotten his start in business, soon hired her. They worked together for nine years while she raised the two children from her first marriage. “We had a great relationship, but it wasn’t at all romantic,” Gretchen says. Sitting in their living room, surrounded by defining examples of the art of Richard Diebenkorn, Wayne Thiebaud, Ed Ruscha, David Hockney, Martin Puryear and other contemporaries they have represented, the Berggruens literally see the city at their feet, commanding a treetop — it feels almost cliff’s-edge — view of downtown San Francisco and the Bay. Given this level of fulfillment and success, why, I wondered aloud, would the Berggruens, both now in their 70s, undertake a new chapter in a career already as good as unparalleled. They looked ahead to SFMOMA’s reopening and decided that its neighborhood would be the area in which to find a new venue. John remembers with particular pride his successful first approach to Diebenkorn. Already recognized as a giant among West Coast creatives, the artist agreed to a solo show of paintings in 1975, four years before the great museum retrospective of his drawings, which traveled nationally. In 2004, the Berggruens marked another milestone by acquiring from John’s father (in partnership with Mitchell-Innes and Nash, of New York) a portfolio of 26 late drawings by Picasso, which they went on to show, a feat that no other San Francisco gallery could have achieved. The final exhibit at Berggruen’s old address brought to the city the first solo show of paintings and drawings by acclaimed British talent Bridget Riley. Having heard many gallerists speculate that the days of the brick-and-mortar showplace are numbered, I wondered whether the Berggruens see themselves bucking the tide by going deeper into an enlarged, fixed address. “Not necessarily,” John says. “We see what our colleagues do in New York and London, but it’s not my personality or basic metabolism to be able to sit in my home and be a private dealer. I like the energy of a gallery and being able to share works of art and exhibitions. It’s always stood us in good stead in terms of making sales, which is important. The opening exhibition is a survey show titled “The Human Form” (on view through March 4), which presents a cross section of works expressing the theme its title denotes. It also evokes the Berggruens’ history of exhibiting significant artworks of the 20th century, both regional and international, and hints at paths forward in contemporary art. It includes works by Alberto Giacometti, Matisse, Edward Hopper and Willem de Kooning, among other eminent modernists, and more recent artworks by such younger contemporaries as Cecily Brown, George Condo, Antony Gormley and Kehinde Wiley.